We've been experiencing the extremes of personal space. Spending some time in the most wide open country we've ever seen was a shock to our systems after being confined to a train car. 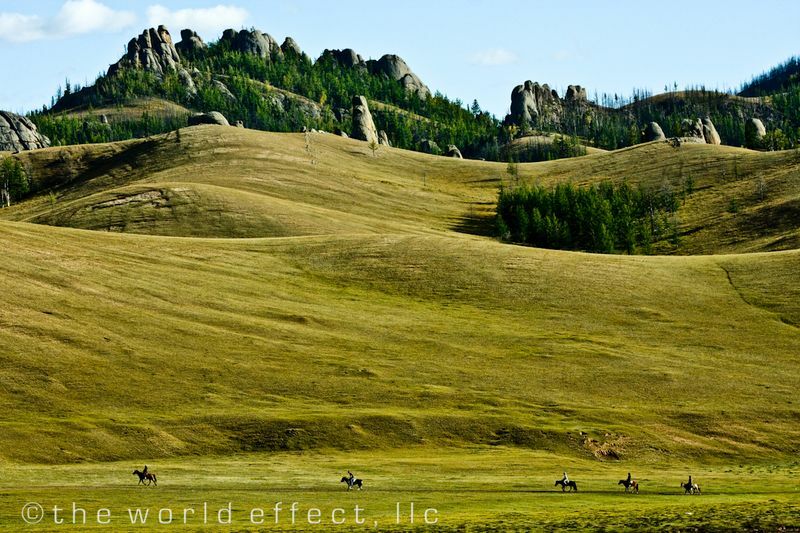 The scenery in the countryside of Mongolia is remarkable. 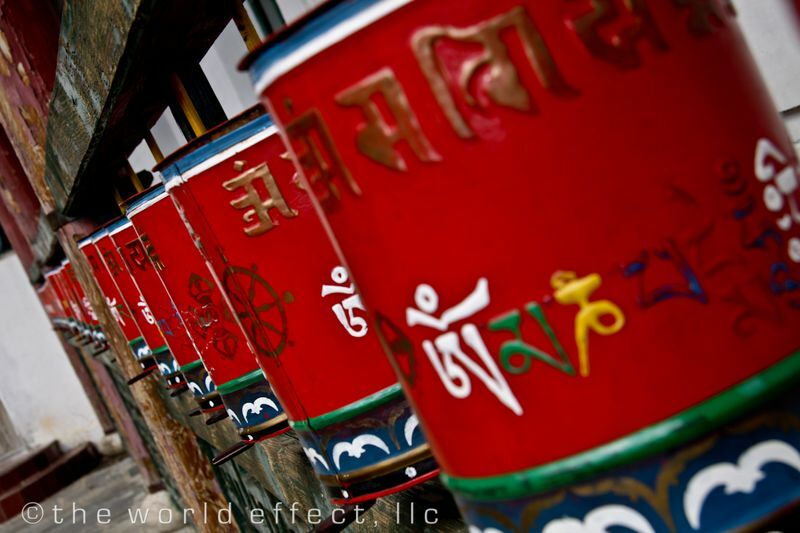 Everything is spread out, there are few obstructions, and it's so quiet. Once we settled into our ger in Terelj National Park, we were immediately swept into a sense of calm and peacefulness by our surroundings. 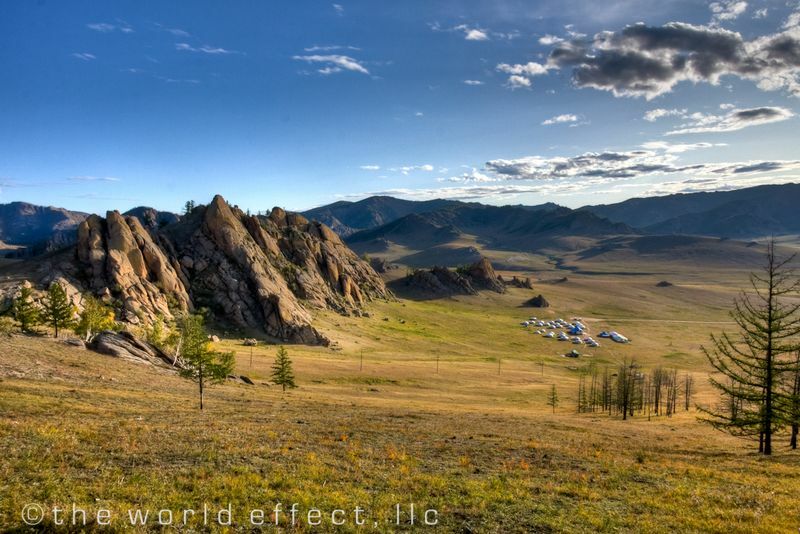 It was so relaxing in the countryside of Mongolia. 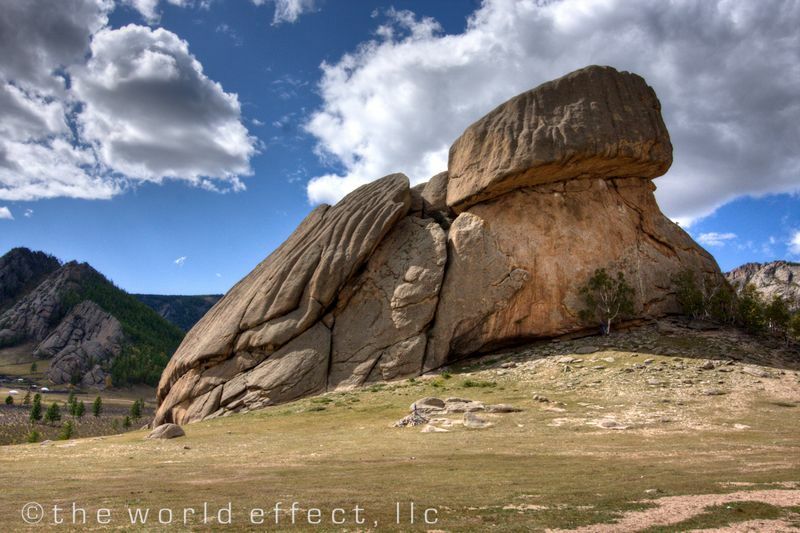 We had time to hike around our ger camp and take in the views and climb on the granite rocks. We also walked up to a famous rock formation called Turtle Rock for obvious reasons. 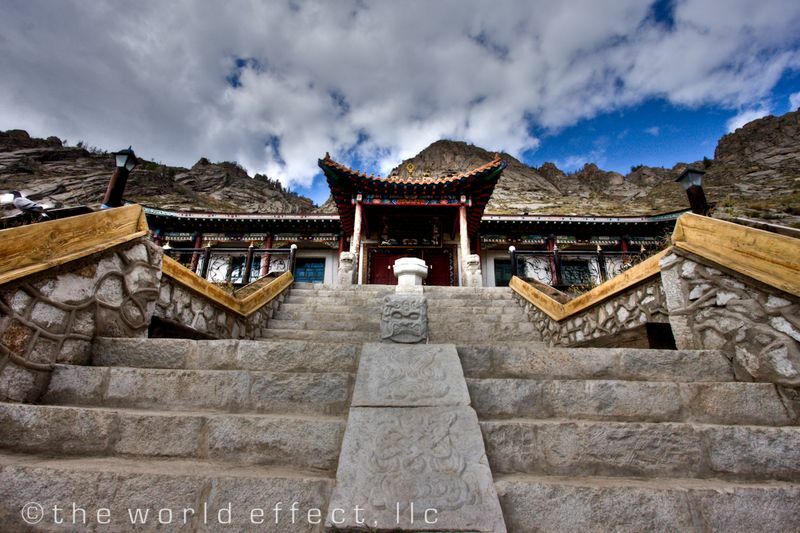 Just up the mountain side from Turtle Rock is a beautiful Buddhist temple that overlooks the entire valley we were in. 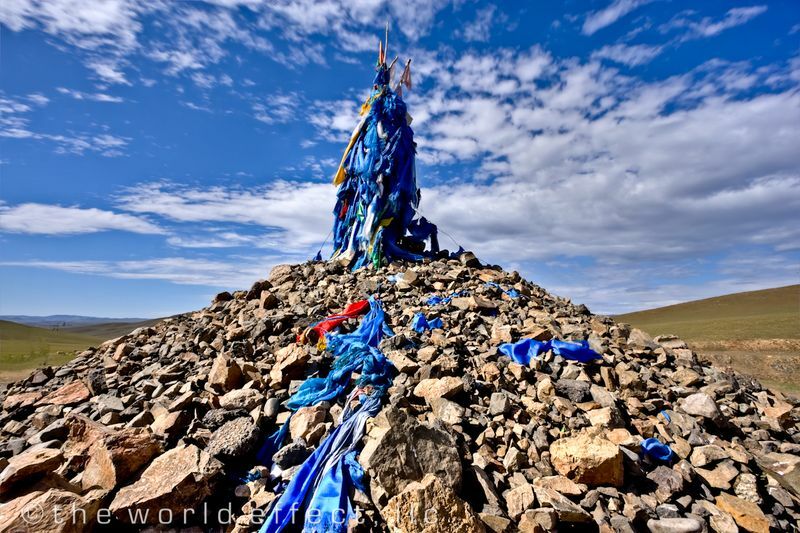 Throughout the landscape were stacks of rocks and trees wrapped with prayer flags. Seeing the brightly colored flags gently moving in the breeze against green backdrop is an image we will never forget. 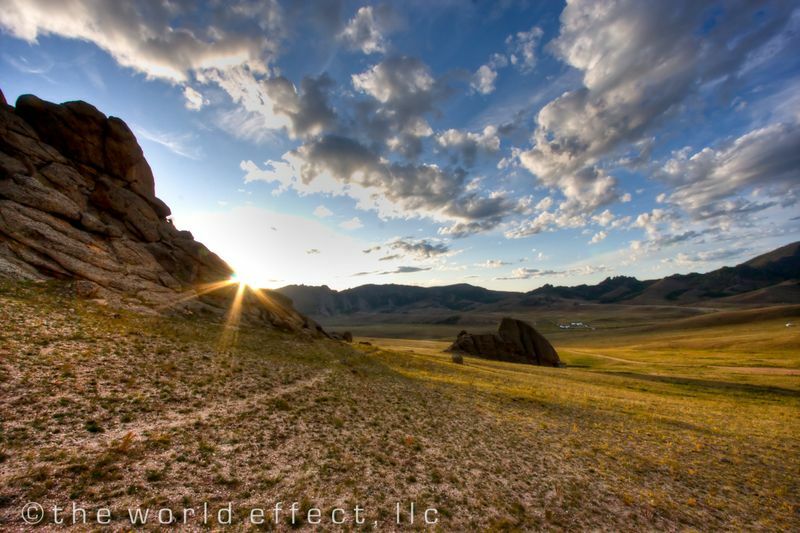 I know we've said "this is one of our favorite places" throughout our posts, here's yet another favorite, Mongolia! These are just beautiful. What camera are you using? I went there last year and absolutely loved it, and the many rules and superstitions that are woven into Mongolian culture. Enjoy! Thanks! 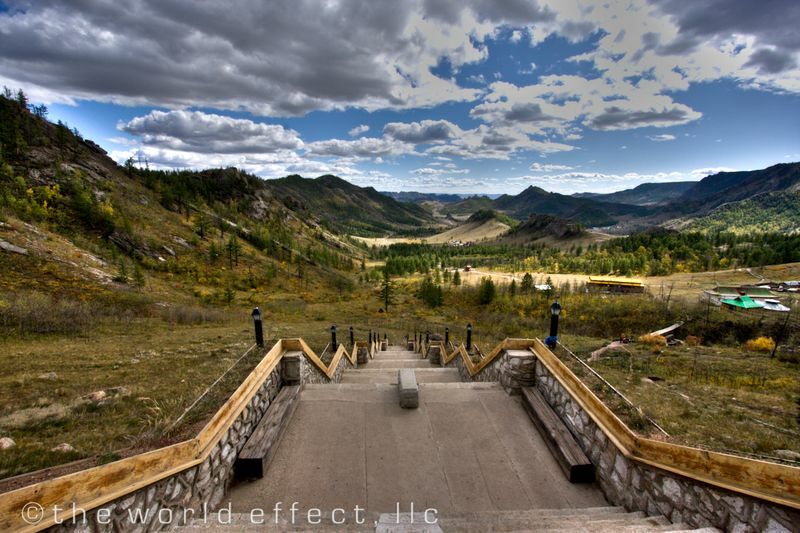 We just loved everything about Mongolia. It was a unique place to photograph as well. We use a Canon 40D and a Canon 50D with assorted lenses. Thanks again. These pictures are absolutely beautiful. Do you have some advice how you take these pictures? I was just going to ask what camera you use. Your shots always seem to pop on screen.